Chief Rhoads is undeniably one of the leading internationally recognized experts in the field of Interview and Interrogation, Subconscious Communication® and Body Language. 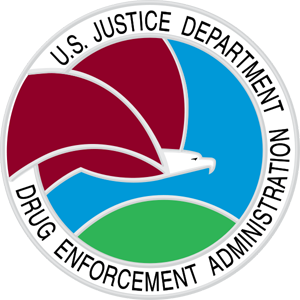 The Justice Department asked Steven Rhoads to deliver a presentation on "Subconscious Communication®" today to students attending training at the Drug Enforcement Administration's Two Week Basic Narcotic Officers course. The participants enthusiastically received the lecture and thus we laid the cornerstone of Subconsious Communication Training Institute. In 1981, Steven Rhoads delivered the material for the first time to international students at a Nordic Conference in Oslo, Norway. Over the past twenty plus years students from all fifty states, sixty-seven foreign countries employed by every branch of federal law enforcement, state and local agencies and participants with public and private sector backgrounds have discovered the benefits of gathering information using this new generation of Assessment Interview Techniques®. 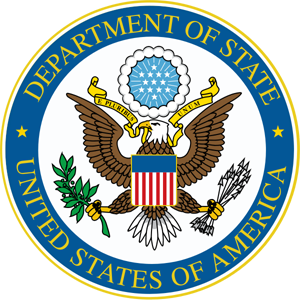 When the United States State Department selected a blue ribbon panel of instructors from the United States to teach for the Soviet Union and Communist block countries, Steve Rhoads was one of six instructors chosen to make the trip. He was the only non-federal employee to receive the recognition of being the first US police officers invited into the Soviet Union to teach police employees. Traveling the nation over the years, Rhoads has had the opportunity to meet some outstanding instructors and consultants. The staff of Subconsious Communication Training Institute includes a few of the very best of the personnel met during those travels and experiences. Going from offering training in a limited number of areas the inclusion of these outstanding individuals provides us the opportunity to better meet your overall training and consulting needs. Addressing some of the most critical areas that can either enhance or decrease your productivity goals our programs are intended to give you and your personnel skills that can immediately impact your organization in a positive and productive manner. 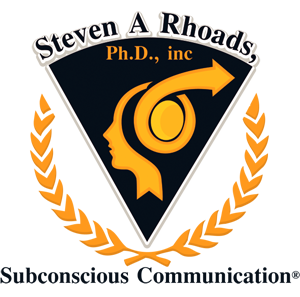 About Steven A. Rhoads, Ph.D. The instructor is Retired Chief of Police Steven A. Rhoads. 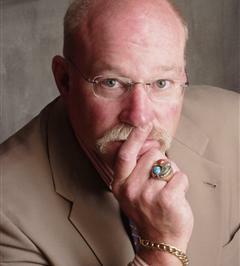 Rhoads is a 40 year police veteran with experience in Virginia, Colorado and Illinois. Rhoads is an internationally recognized expert in the field of Subconscious Communication® and has published several articles on the subject. He has instructed for the past 30 years and has been utilized by several agencies to assist in the interrogation of suspects in major felony cases. His research in the field of behavioral science aids the student in obtaining a comprehensive view of the material from both an academic and practical perspective. Chief Rhoads holds a Doctorate Degree from Union Institute & University and is a three-time Medal of Valor recipient.